Here are few things you need to know about oneplus one - the flagship phone of 2014 ,but hard to buy due to the invite system ,hope they turn out this invite system in Oneplus Two. 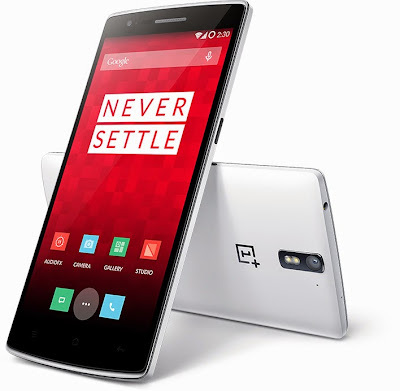 OnePlus One has a 5.50-inch 1080x1920 display powered by 2.5GHz snapdragon 801 processor alongside 3GB RAM with adreno 420 GPU and 13-megapixel rear camera capable of 4K video recording ,comes in 64/16 GB variants. we are giving away a 16GB variant INVITE !! [2 Tickets]Follow me on Google Plus. [2 Tickets] Follow me on Twitter for more giveaways ! The giveaway is an international giveaway , for international variant..!! not indian variant..